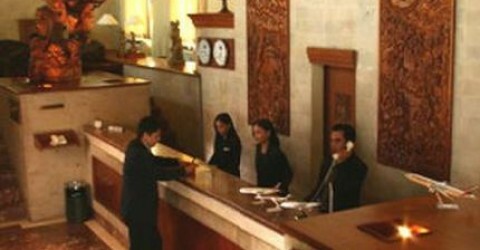 We pick you up at hotels or inns around the area Cibodas, Puncak–Bogor, West Java. Next, we’ll take to start the tour at once adventurous climb the summit of Mount Gede Pangrango a very interesting and challenging! The trip will start from the exact beginning our ascent, namely at our camp as well as welcome drink and breefing before making the climb of Mount Gede. After that, participants are invited to check-in event tickets and start climbing the mountain guided and accompanied by our Tour Guide who’ve experienced. Our Tour Guide will invite participants to visit the tourist attractions of the exotic among which Lake Blue Lake, then visit Cibeureum Waterfall, then resume climbing again. When time and conditions permit, we will invite all the hot water area located at the foot of Mount Gede. Arriving at the summit of Mount Gede Pangrango, participants break while enjoying the beautiful natural panorama stretching from the summit of Mount Gede crater Pangrango and thunder. After a break to taste, we invite participants to fall back on to the next return to their homes. The event finished. Landscapes in the form of volcanic crater and the potential embarrassment of flora including daughter, walang rice pest, saladah, sulfur moss, amethyst, Kaliandra, dowala, ferns, hamerang, burnugr and almond. While the fauna that can be found among kawung snake, python, snake striped, green snakes, ciung stones, books Tan and black langur. 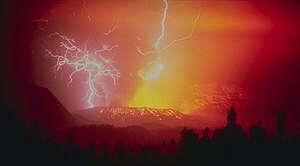 With terjadinyna prolonged eruption of the volcano crater and Mount Warirang So since April 5, 1982, in which she has vomited scores twenty million cubic meters of waste material and Mount Apih causing major changes in the general condition good run private area directly or indirectly. ImageImageImage ImageImageImage With the physical state of the forest has been transformed into a barren land, state land and the third part became polluted and corrupted, the region- agricultural areas, livestock, horticulture and irrigation-irrigation damaged socio-economic circumstances surrounding communities of Mount Mersa anxiety, worry and hope of the future that is uncertain, especially for those directly hit by disasters. As a result of damage to the forest area is considered necessary to overcome as soon as possible so that the function forest immediately restored, this requires the existence of rehabilitation efforts on areas that were damaged, out of a total area of protected forests and forest area of 6036.10 ha produksimencakup. Not only rehabilitate the forest alone, Perum Perhutani also build Wana Wisata Cipanas Galunggung since 1988 with the facilities provided in the form of gates, bath / shower, shelters, etc.. Facilities Facilities contained in WW Cipanas Galunggung amongst others, the bridge, to the bathhouse showers bengunan 12, guardhouse, a water reservoir tanks, supermarket and kiosk vendors. accessibility Location This can be achieved with four-wheeled vehicles. Distance from Tasikmalaya about 17 km to the condition of paved roads. 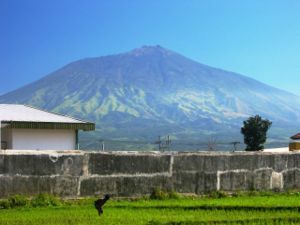 This tour package offering to exploring volcano java island , started from krakatau volcano at SUNDA STRAIT,visit bogor Bandung and Gunung Gede pangrango as well to Papandayan crater,crossing West java .Central java is a destination of java Island which is most activity and attraction may be visited,as such as Borobudur Tenple,Prambanan , Gunung or mount Merapi,and Don,t mist Dieng Plateau. Those cover only less than 10 day. Climbing Mount Arjuno from the town of Lawang is the initial ascent Lawang practical because the city is easy once we go through both of the direction of Surabaya and Malang, apart from that peak of Mount Arjuno can be achieved directly from this direction. From the direction of Surabaya, Malang majoring we took a bus and get off at Lawang (76 km). When we from Malang, then we ride from Terminal Arjosari using buses or minibis toward Lawang, distance 18 km. From Lawang we ride public transportation (rural transportation) to the village as far as 13 km PRESTRESSED. Climbing to the top, starting from this village to the Tea Plantation Wonosari 3 km. Here we report on PHPA officials and also requested permission to climb, our water supplies are also prepared in this last village. From the village Wonosari went ahead and passed Wonosari Tea Plantation as well as continue to rise during the 3-4 hour trip we will arrive at the Oro-Oro Ombo which is a camping place. Of Oro-oro Ombo headed to the summit takes 6-7 hours to travel through dense forest called the Forest Jiwo Lali. From here we will through meadows and steep uphill path. Approaching the summit, we will walk through the stones are very large and resembles a beautiful park, after that we will reach peak Arjuno. From the west, Stone Source Brantas arjunoJalur-climbing from the direction of the Rock, located on the west side of Mount Welirang, is also an interesting and exciting path. Stone Town, the situation is not much different from Tretes, a resort town has an interesting panorama, with a variety of amenities. Stone, also known as the City of Apples, and got his nickname Java Switzerland, situated in the valley and the slopes of Mount Mount Panderman Arjuno, have tourist area with warm water sources in Songgoriti. To go from the direction of Batu Malang, Kediri, or we can take a bus / colt, subsequently followed by minibus to the village of Stone Source Brantas by Selecta. We can stop in the Selecta, which is also a famous tourist resort, situated at an altitude of 1200 m.dpl, hawanya cool and is a pleasant tourist facilities, swimming pools and flower gardens, as well as fresh fruit and vegetables market. At Selecta, a lot of available hotels and inns where we can spend the night. Last telpun facilities exist in this Selecta. Village Resources Brantas (1600 masl) there is a fountain which is the source of the Brantas River that flows hundreds of kilometers, which is the lifeblood of farmland in East Java. In the spring we have to prepare enough water for the trip to the summit and return. From Source Brantas, follow the asphalt road towards Pacet-Mojokerto as far as 8 km, we will arrive at Cangar which is the People’s Forest Park area which is being developed Suryo amenities, to enjoy the natural hot water bath from the foot of Mount Welirang. Village Resources Brantas public vehicles are usually lower in Post KSDA we, but we can get down (by appointment) at the end of the village. Before climbing, we should apply to the Officer KSDA. From the end of the village, we started climbing for two hours, with a rocky road uphill and vegetable fields toward the Northeast, to the edge of the Forest Lali Jiwo west. In this way, vaguely visible peak Arjuno. To save time, we can also rent a jeep in the village Source Brantas, to take us until the end of the vegetable garden on the edge of the forest. After climbing 4 hours again through the dense tropical forests Jiwo Lali, we will get to the mountain ridge that connects the peak of Mount Welirang and Mount Arjuno, precisely the Southeast side of Mount Twin I. Here there is a junction, towards the left to get to the top of Mount Welirang for 2-3 hours and to the right toward Mount Arjuno for 4-5 hours. Travel Welirang peak of Mount Peak near the west, we will be able to see the desert flowers and Mentigi Edelweis a rosy leafy, attractive scenery in not going to be found in the other lane. Along the way we will often encounter deer, Deer, Flying Squirrels, Javan birds also look tame. Jakarta to Carita drive along toll road,takes 3 hrs. logistic,and stay overnight in Child Krakataiu island. last evening arrive in Bandung [Stay overnight]. remains are a reminder as to how recently she Erupted. of Yogyakarta that to KETEP of Merapi Volcano Theatre. also Kraton impress up on you the Former Glory of this City. 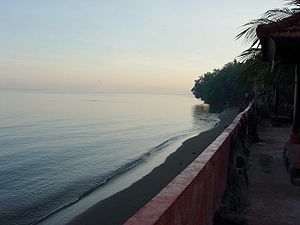 black sand and up to the crater or to Pananjakan Mt. see Sunrise. will over night here at Kintamani Local Hotel. Transfer to the airport on flight to manado according to flight schedule.